Situated in the Pacific some 1,000 km from the South American continent, these islands and the surrounding marine reserve have been called a unique ‘living museum and showcase of evolution’. Located at the confluence of three ocean currents, the Galápagos are a ‘melting pot’ of marine species. Ongoing seismic and volcanic activity reflect the processes that formed the islands. These processes, together with the extreme isolation of the islands, led to the development of unusual animal life such as the land iguana, the giant tortoise and the many species of finch that inspired Charles Darwin’s theory of evolution following his visit in 1835. 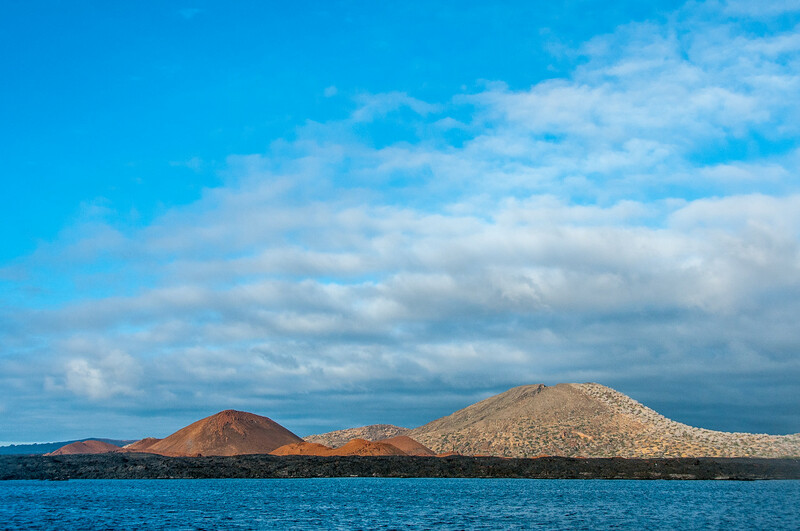 The site is situated on the Galápagos Submarine Platform and consists of about 120 islands. The larger islands are Isabela, Santa Cruz, Fernandina, Santiago, and San Cristobal. The islands were formed by volcanic processes and most represent the summit of a volcano, some of which rise over 3,000 m from the Pacific floor. The western part of the archipelago experiences intense volcanic and seismic activity. The larger islands typically comprise one or more gently sloping shield volcano, culminating in collapsed craters or calderas. Long stretches of shoreline are only slightly eroded, but in many places faulting and marine erosion have produced steep cliffs and lava, coral or shell sand beaches. Other noteworthy landscape features include crater lakes, fumaroles, lava tubes, sulfur fields and a great variety of lava and other ejects such as pumice, ash and tuff. The fact that the Galapagos Islands are listed as UNESCO World Heritage site #1 is no coincidence. It is one of the most significant ecological sites in the world. Home to multiple endemic species, it was the also where Darwin originally got his ideas which lead to the theory of evolution. I spent four days traveling around the islands with G Adventures as part of their Wanderer in Residence program. It is one of the places where I know I will return one day. Four days in the Galapagos is not enough. The Galapagos Islands is an archipelago consisting of volcanic Islands, which is part of the Republic of Ecuador. This is a natural site recognized by UNESCO as a World Heritage Site for its outstanding global value in terms of biodiversity. There are 21 islands that make up this archipelago and 18 of these are considered as major islands. Meanwhile, the entire area protected by UNESCO for its World Heritage listing is about 7,880 square kilometers. It was designated as a UNESCO World Heritage Site in 1978. 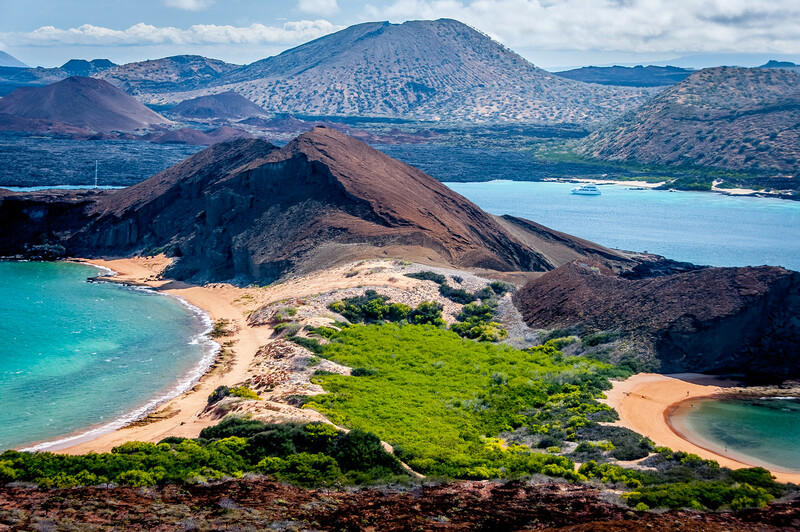 The islands that make up Galapagos Islands are best known for the high level of endemic species that have thrived here. It became known after Charles Darwin’s research on these islands. The observations and studies he had performed on the islands have led to the formulation of Charles Darwin’s theory of evolution through natural selection. The Galapagos Islands was first explored in 1535 by Fray Tomas de Berlanga, who was a Bishop of Panama. He discovered this island during his voyage to Peru. When he returned to the Spanish Empire, he shared details of his discovery of the unnamed islands (at that time). The first crude map of the island was published in 1684 by buccaneer Ambrose Cowley. Since then, the island caught the attention of many who were interested to explore it. But it was Charles Darwin’s book “The Voyage of the Beagle” that gained the most attention. The islands of Galapagos were mostly formed out of volcanism. There were several tectonic features that suggest the volcanic origin of the islands in this archipelago. Indeed, the archipelago is distinctively known for its contemporaneous volcanoes. There are 9 active volcanoes spread throughout the archipelago and these have erupted 24 times over the period of 5 decades (from 1961 to 2011). The location of the Galapagos Islands on the eastern Pacific Ocean means that the closest land mass is the mainland Ecuador (to which it is a part of). The islands are located right at the equator; this means that some islands are located on the northern hemisphere while the others are located on the southern hemisphere. The southernmost island of this archipelago is called Española Island. Meanwhile, the northernmost island is called Darwin Island. Aside from the 18 major islands and 3 smaller islands, there are also 107 rocks and islets that make up this archipelago. Even though the islands are located along the equator, the Humboldt Current brings cold water into the islands. This also means that there is frequent rain on the islands all throughout the year. The island is also hit with frequent El Niño events that occur once every 3 to 7 years. Meanwhile, the varied altitude levels also mean that the weather can change drastically if you go from one part of the island to the other. 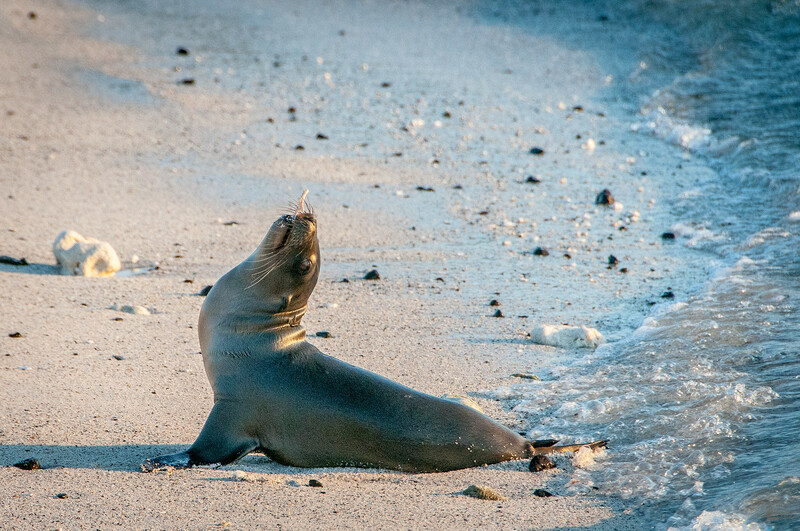 The question of “when to go” does not apply in Galapagos Islands. There is something to see or do depending on which time of the year it is. The peak season for tourism is from June to August, or mid-December to mid-January. The hot and rainy season is from December to May. During this time, the ocean is calm. But during the day, the sky is mostly sunny. If you want to avoid the heat, you should travel from June to November. The Humboldt Current brings chilly winds and weather to the islands. If you want to tour the Galapagos Islands, you need to do so through a tour company. 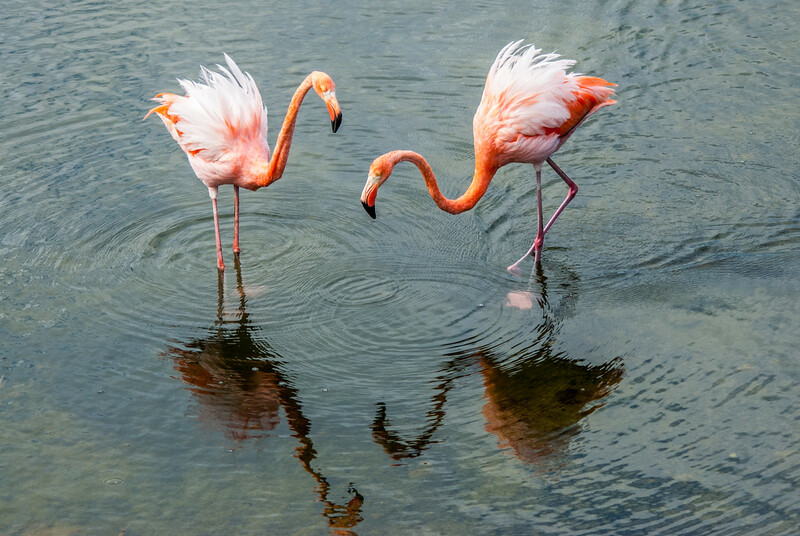 All guides to the tours should be licensed by the Galapagos National Park. Therefore, you need to check that prior to booking a tour with a specific company. If you are planning to travel or book a cruise, make sure you do so months ahead. The boats could easily fill up especially during peak season. 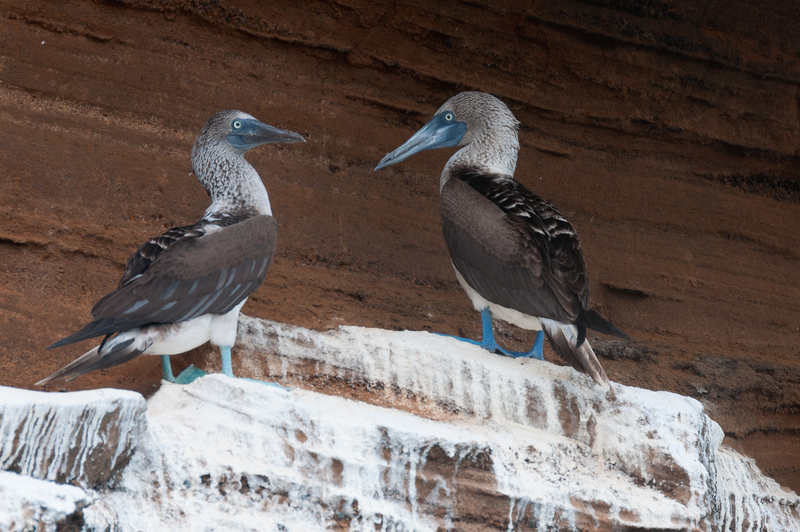 To travel to the Galapagos Islands, you need to go to mainland Ecuador first. There are several airlines and airports that service flights that travel to Quito or Guayaquil in Ecuador. However, you might want to book flights to Guayaquil since this is closer to the Galapagos Islands. Booking a flight to Guayaquil is slightly less expensive than the flights that go through Quito; however, these flights are quite limited as more routes travel via Quito. From the airport, you must travel via bus for two hours to Puerto Ayora in the island of Santa Cruz. This is the main settlement area in the Galapagos Islands. View my complete list of UNESCO World Heritage Sites in Ecuador.